MANUELLE GAUTRAND ARCHITECTURE is a Parisian based architecture firm founded by Manuelle Gautrand in 1991. 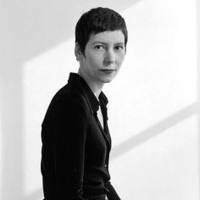 Manuelle Gautrand is the principal architect and director of the agency. Marc Blaising, partner, financial and administrative director has been involved in the general management of the agency since 1992. The team of over 15 architects develops projects for public contracting authorities as well as private firms both in France and abroad. Under the leadership of Manuelle Gautrand, each architect-project manager is in charge of a project. The two-level 300 sqm office is located in the Bastille neighborhood of Paris. The firm’s poetic architecture embraces the endless variety of forms and colors, using the most contemporary methods of planning in a variety of areas ranging from cultural facilities to residential, commercial and office buildings. To “Re-enchant the City” and thus to bring emotion, to reinvent, to renew, to innovate and to propose the unexpected answers, to be bold and plural are the founding principles of the architecture of Manuelle Gautrand. The architecture, her architecture is what poetry was to Saint John Perse: “the luxury of being unaccustomed”. At the core of the process of creativity lies the approach to each new project through the spirit of “blank page”, with no à priori. Yet all her projects express a specific relationship to the site: a desire to revive it and enchant; a deep commitment to working on the programs entrusted to the firm, make them even more efficient, more malleable and more unexpected… The project must each time become a unique and symbolic encounter between the site and the program.